if you want to be disoriented you have come across the right location. There are many convenience stores and bars where you can taste the specialties of the region (or even take them home) for a very low price. for those who love hiking the scenery is beautiful and there are many hiking trails. nearby you can visit Xativa with its castle that sparkles on the mountain at night. Do not forget to visit VALENCIA capital of the region. The apartment is for 4 people but if you have a larger family the owner will be able to accommodate at her (next door) extra people for a fee. the apartment likes its small size because it gives little household work. its strong point and its individual terrace of 35 m2. It also overlooks a communal terrace, meeting place in the evening at the wake. We can also enjoy paellas that we took care to order beforehand. 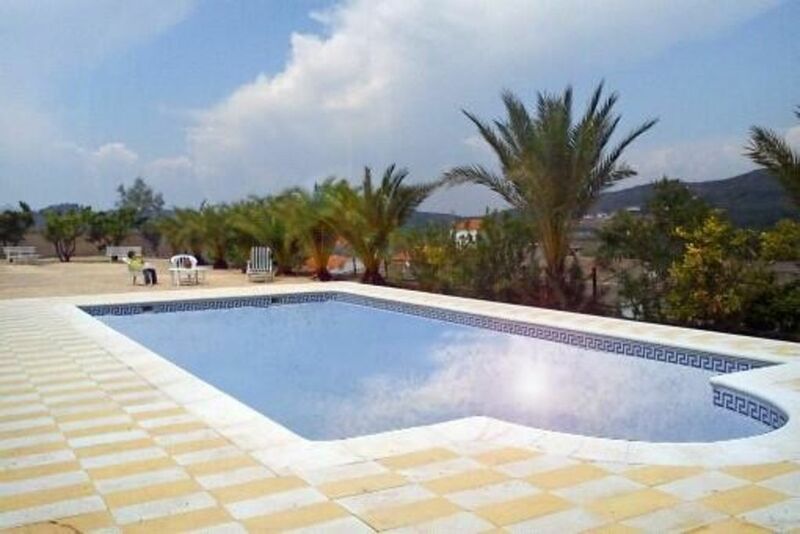 From the pool, well fenced, there is a superb view of the surrounding countryside.